Many of our customers come to us when they need to design custom wristbands to raise awareness for a cause that is near and dear to their heart. 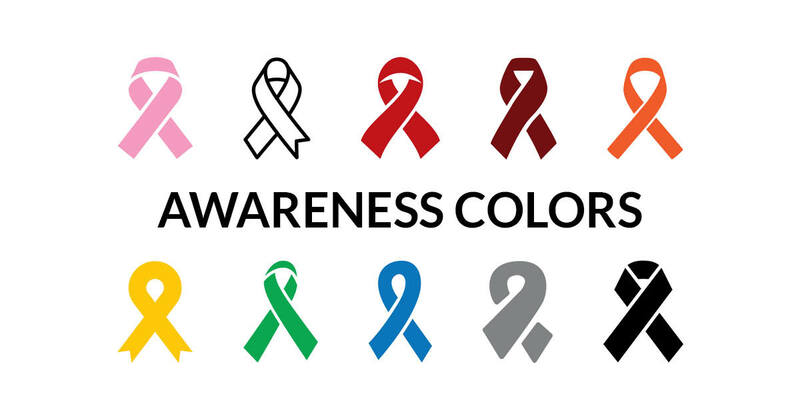 In honor of that, we’ve created a guide that identifies the various awareness colors and the common diseases, conditions and causes that they represent. We also have a promo code for you to save 10% on “good cause” orders. Click here for a much more comprehensive list. And if you’re ready to create a wristband, start by choosing your type of wristband. Don’t forget to use code GOOD10 to save 10% on your order!